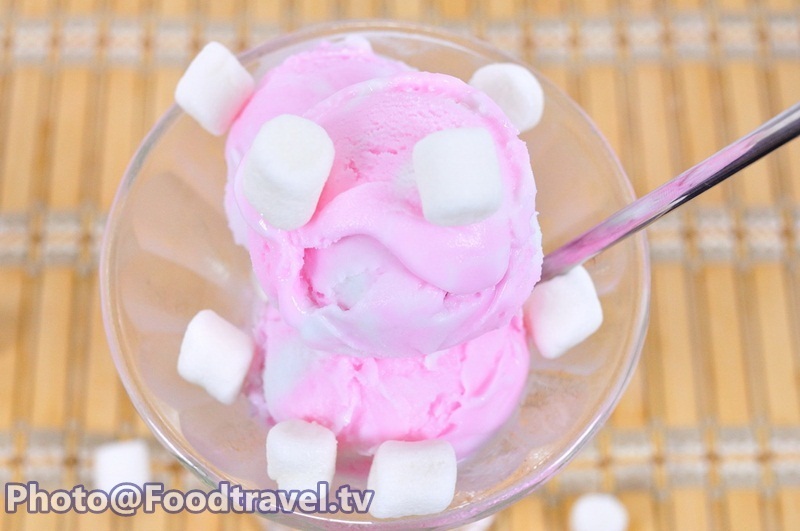 Bubble Gum Ice Cream (Ice Cream Ros Mak Fa Rang) - Bubble Gum Ice Cream is a popular American ice cream flavor that pretty good for a birthday party. 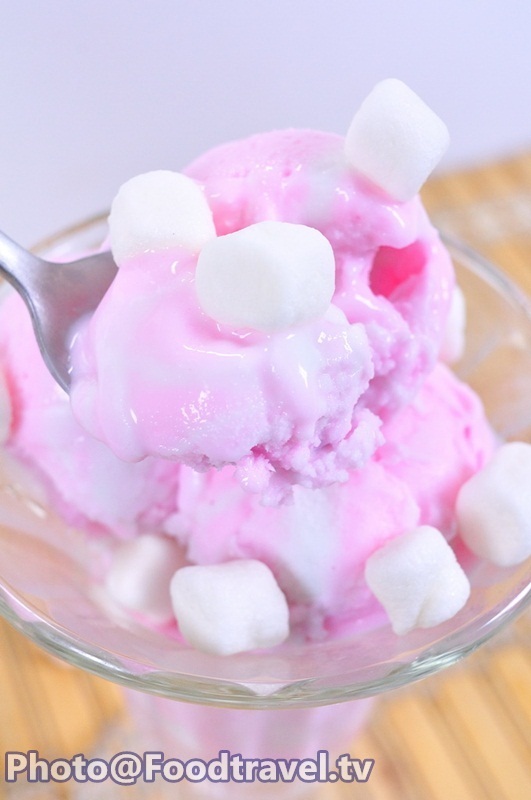 We adapt taste a little different for this recipe because we need two colors ice cream. 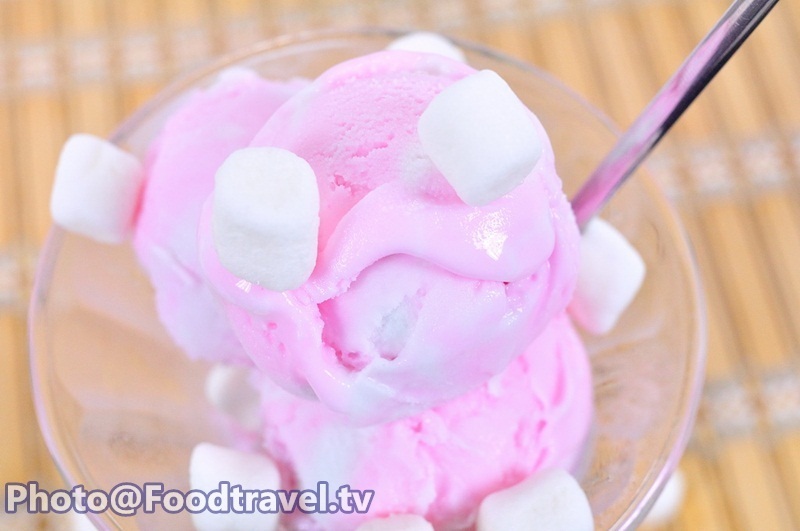 Let's serve yourself with ‘Bubble Gum Ice Cream’ and see how beautiful it is of this ice cream. 1. 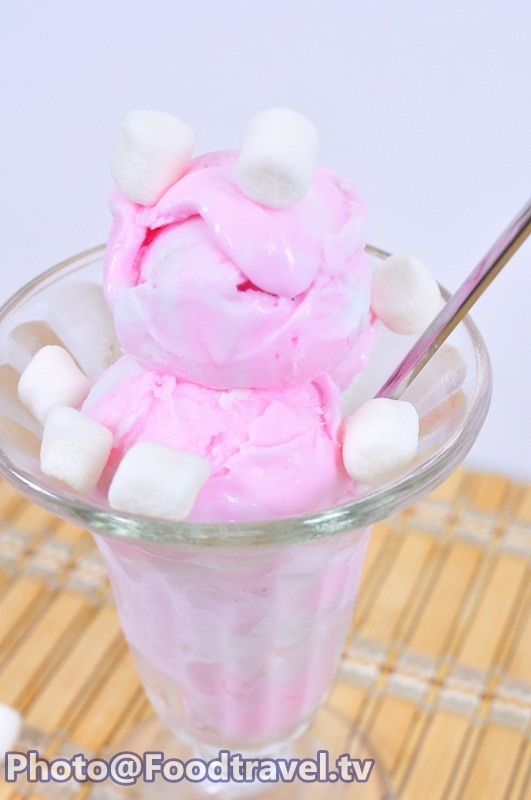 Mix white egg, sugar, glucose and salt together. Beat until sugar dissolve and egg smooth. 2. Divide milk into 3 parts. 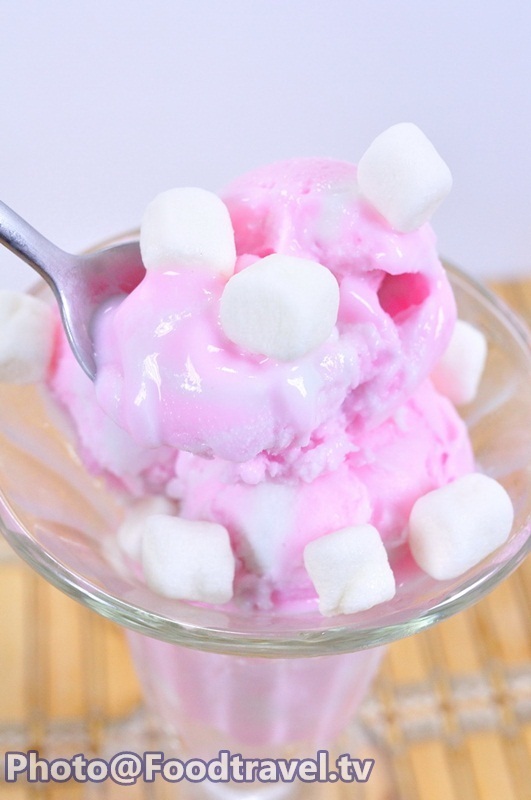 Boil milk 2 parts and dissolve each color marshmallow. 3. Mix remaining milk with white egg over low heat. And keep stirring until mixture is hot and thicken or use the thermometer measured 82 degrees for 2 minutes. 4. Filter milk mixture with egg in a cream and stir to combine. Then divide the mixture into two equal parts. 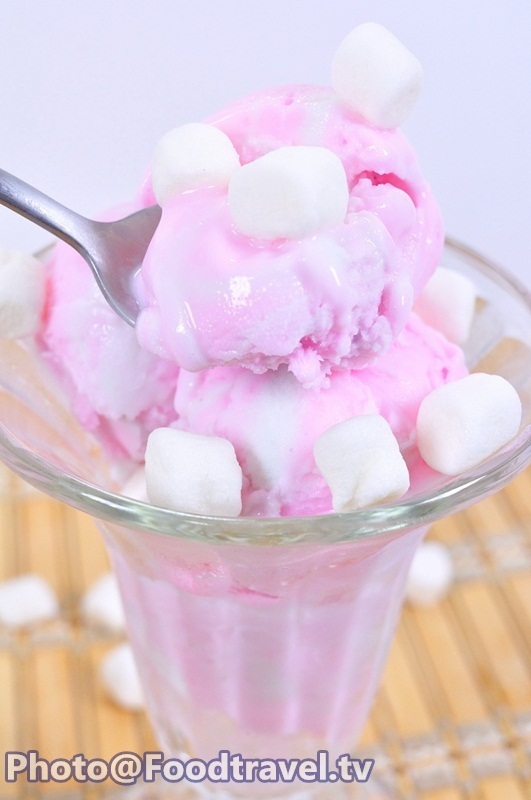 Pour into each color of marshmallow. 5. Keep both parts ingredient in a box. Then stir the mixture every 1hour until smooth. 6. 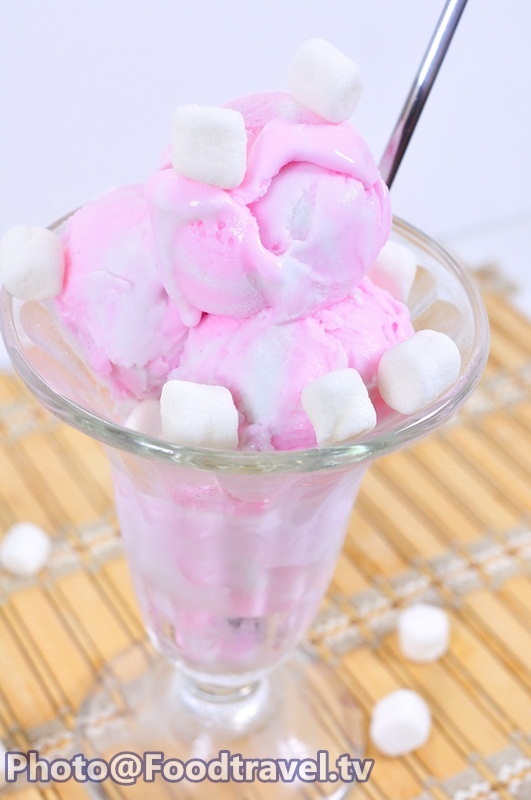 Set the ice cream in freezer before serving. 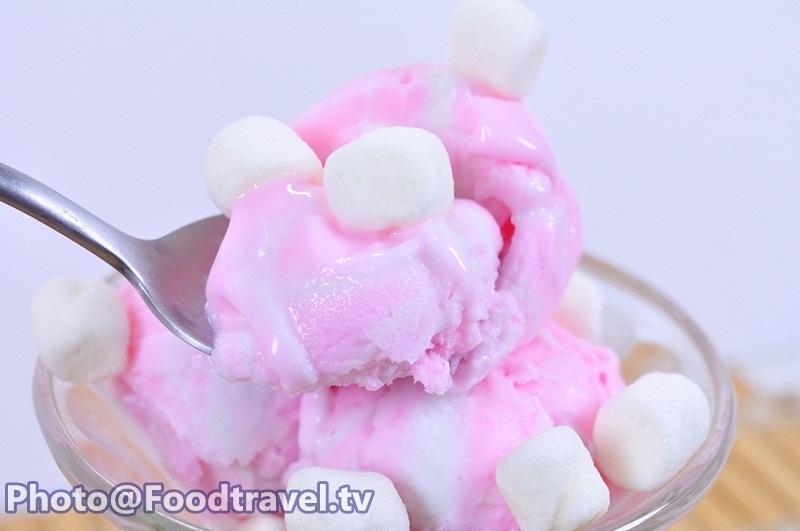 Bubble Gum Ice Cream (Ice Cream Ros Mak Fa Rang) - Bubble Gum Ice Cream is a popular American ice cream flavor that pretty good for a birthday party. 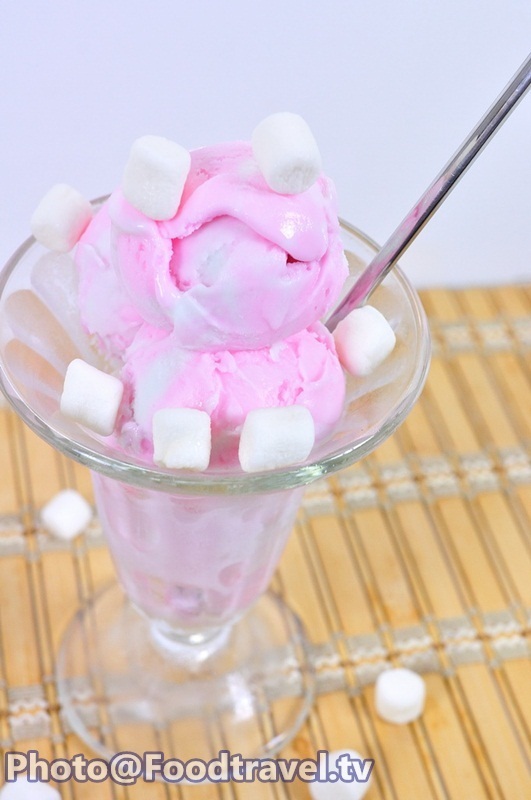 We adapt taste a little different for this recipe because we need two colors ice cream. 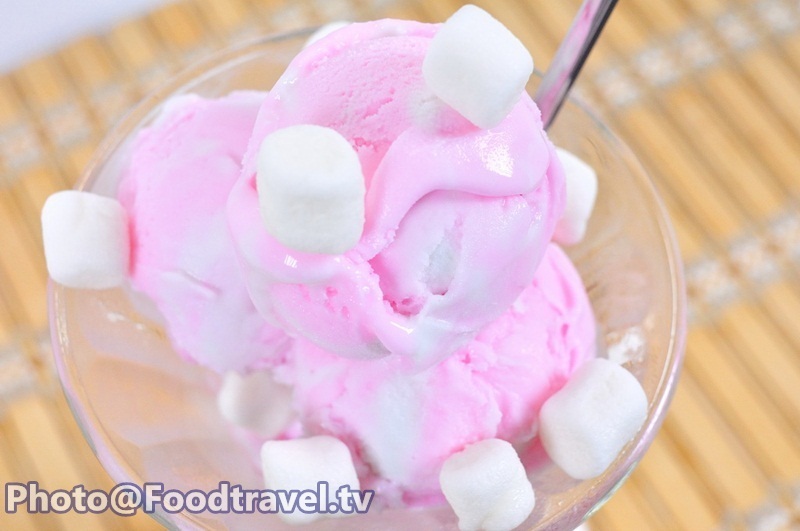 Lets serve yourself with ‘Bubble Gum Ice Cream’ and see how beautiful it is of this ice cream.